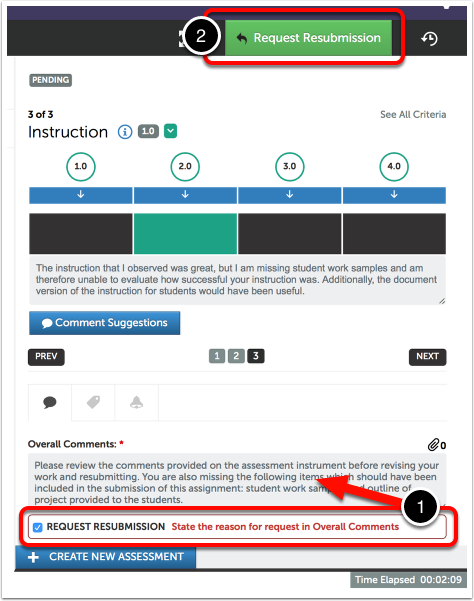 To help streamline communication between Assessors and Students as well as to aid in closing the "feedback loop", you can request a resubmission from a Student. This option allows you to give the Student an opportunity to improve their work and resubmit it for assessment before providing them with a final grade. This is a great tool for assessments where a final grade is not yet the goal or cannot yet be awarded (work does not yet meet requirements), but feedback is desired and changes/improvements are expected to occur before a final grade is awarded. Only the final submission in a string of one or more resubmissions will be available for reporting. When a resubmission request is initiated, the Student will receive an email notification. 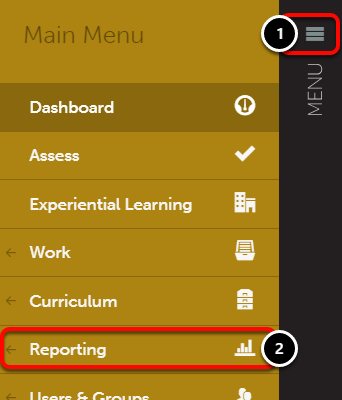 Resubmission requests also appear on the Student's CWPro Dashboard and when viewing the details of a completed assessment. 1. 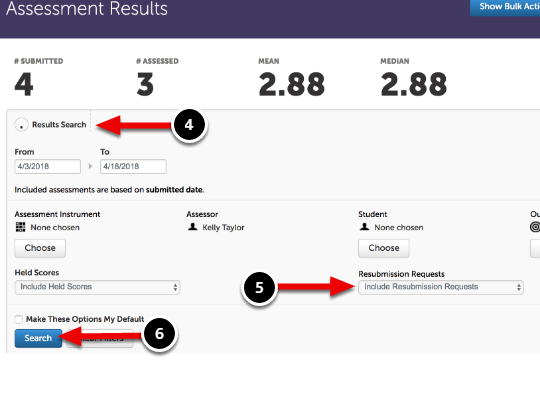 Select the Request Resubmission checkbox at the bottom of the assessment instrument. The Overall Comments field becomes mandatory. Enter a mandatory Overall Comment. Note: If you have scored all criteria in the rubric you will also be presented with a "Make Resubmission Optional" checkbox. This option will allow the student to decline to resubmit, if desired. The student will then receive an email and Dashboard notification that you have requested a resubmission. If you wish to view all resubmission assessments, including the final assessment, you can do so via the Student Results screen. 2. Click on the Reporting option. 3. 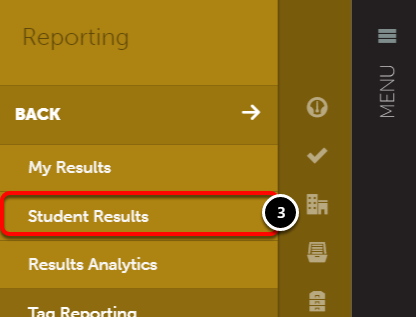 Select the Student Results option.